Our New Year in the United States has come and gone (hopefully some of your resolutions are still around! ), but that doesn’t mean that ringing in 2018 has to end. This year, the Chinese New Year, or Spring Festival, is February 16th and there’s no better place to celebrate the Year of the Dog than in Las Vegas. Whether you want to feast on an elaborate Chinese meal, enjoy amazing ceremonies, or just see everything this diverse city has to offer, the Chinese New Year 2018 is your chance to do it. Let’s dive into a brief history of the holiday, what it means to the Chinese, and how we can honor this celebratory day. The Chinese New Year is one of the oldest holidays in the world, with some experts dating it back to Emperor Yao in 2300 BCE! It was originally based on the lunar-solar Chinese calendar, which counts moon and sun cycles from one spring season to the next. The holiday signified the beginning of the year and was a chance to honor Chinese ancestors and deities. Today, though, China has adapted the Western calendar, but Chinese New Year is still a holiday to celebrate the luck of the upcoming year, spend time with family, and eat lots of great food! Every region and culture does the Chinese New Year a little differently, and in Las Vegas we go all out and enjoy the festivities. The Chinese New Year is the perfect time of the year to channel good energy and luck for 2018, and Las Vegas is full of events to ring in the Year of the Dog in style. Check out the following highlights for ways to celebrate the New Year in this amazing city. There’s a reason why the annual Chinese New Year in the Desert™ has been voted as “one of the top 8 places in the United States to celebrate Chinese New Year” by Forbes Magazine! This event features concerts, art, a parade, and an after party! 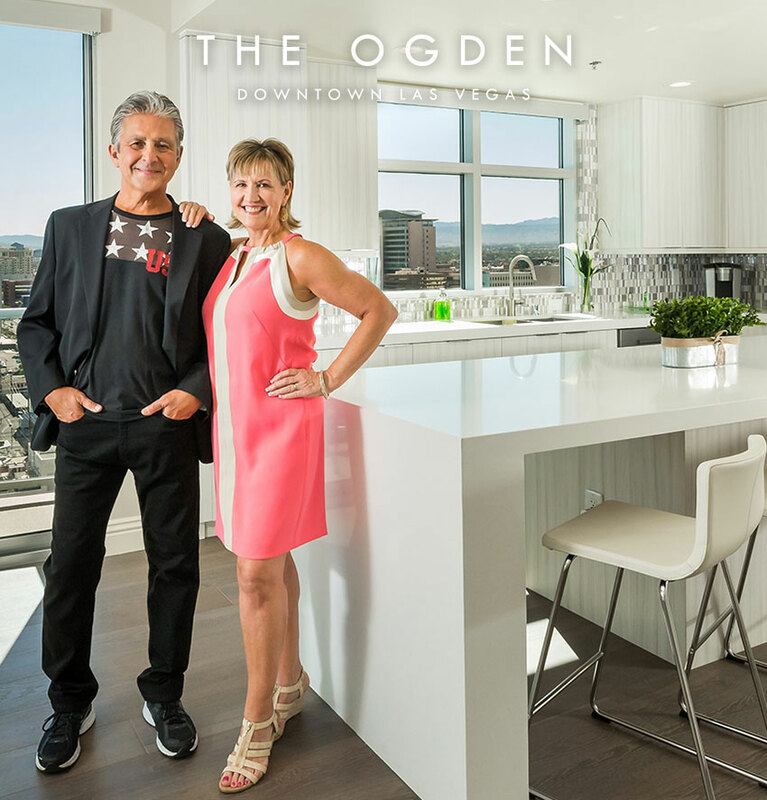 And all of it is just blocks away from The Ogden in downtown Las Vegas. Residents won’t miss a second of the action as the parade tours through Fremont Street and ends at Container Park. In Chinese culture, lighting lanterns in the new year symbolizes a wish for a bright future and you will often find red and gold as the main colors because red symbolizes happiness and gold symbolizes wealth. At the China Lights Las Vegas display, you will see these traditions celebrated in the hundreds of larger-than-life, fully-illuminated lanterns, including displays of lions, dragons, and more. Visitors can also enjoy Chinese cultural performances and artwork. The festival, located in the Craig Ranch Regional Park in North Las Vegas, takes place between January 19th and February 25th, with a special new year celebration on February 16th. Learn more about the festival here. If you want to hit the Strip to celebrate the Chinese New Year, check out The Venetian and the Palazzo for their amazing decorations and festive parade. In the Waterfall Atrium, guests are greeted by a 16-foot tall Chinese Shar-Pei, complete with artificial fur! According to Chinese tradition, The Year of the Dog is said to bring prosperity to those who are proactive, work hard, and communicate well (much like man’s best friend!). And what better way to celebrate this four-legged friend than with a huge sculpture of one! The Venetian and Palazzo will also host a ceremonial lion and dragon dance and parade on February 16th. The LINQ Promenade also does an elaborate celebration for the Chinese New Year weekend celebration, February 16-19th. The promenade will be adorned with traditional Chinese lanterns and decorations to ring in the Year of the Dog, and there will be nightly performances, including dancing, magic, and live Chinese culture performances. The hotel will also feature food and drink specials and daily prize drawings. As the seasons change in Las Vegas, so does the Bellagio Conservatory & Botanical Garden. Even though the Chinese New Year is not a specific season, it is a holiday that the Bellagio celebrates with their guests. As we already know, this Chinese New Year is the Year of the Dog, but Bellagio is also celebrating the Lunar New Year with burning incense from the ancestral vessels that protect against bad fortune and promote good luck. This Chinese New Year you can expect to see four fountains lining the dome and the fifth fountain, in the middle, filled with giant coins. Alongside the fountains there will be representations of children playing as the loyal and brave dog watches over. You don’t want to miss out on this amazing and unique Chinese New Year display. What better way to celebrate Chinese New Year than in the heart of Chinatown Las Vegas! Head out to the Chinatown Plaza Inc. to celebrate the Year of the Dog along with 5,000 other attendees. The celebration goes from 10am – 5pm and is filled with food, fun, and friends. Indulge in the “biggest Authentic Asian Food Gathering in the whole city” at this potluck-style gathering. Attendees can also enjoy entertainment all day long with lion dancing, Japanese Taiko drums, a dragon parade, and even more for a fun-filled Chinese New Year! Chinese culture is steeped in tradition and in Las Vegas, we are lucky enough to celebrate this diverse holiday. The Chinese New Year is a time for friends, family, and hopes for the new year.